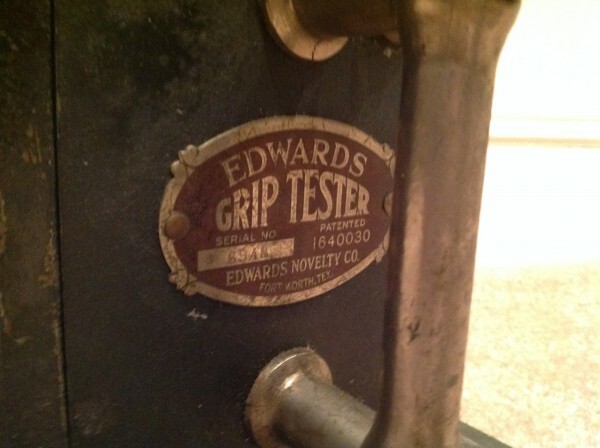 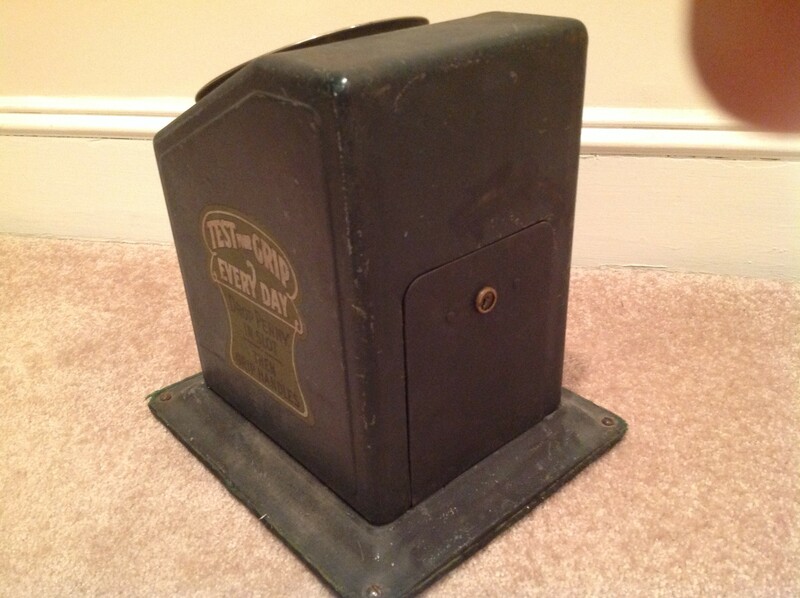 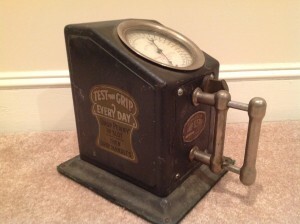 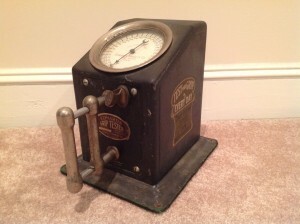 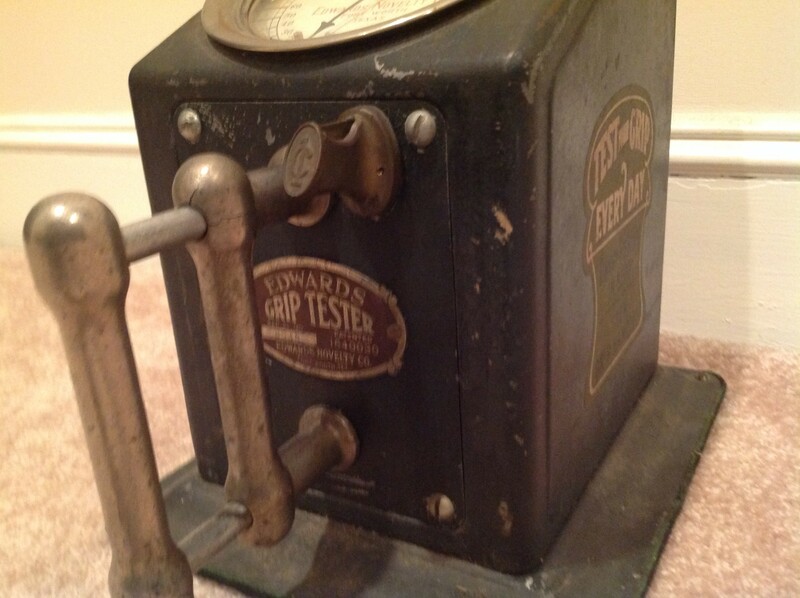 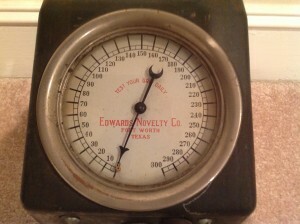 Antique vintage Edwards Novelty Co. strength grip tester in as found working condition. 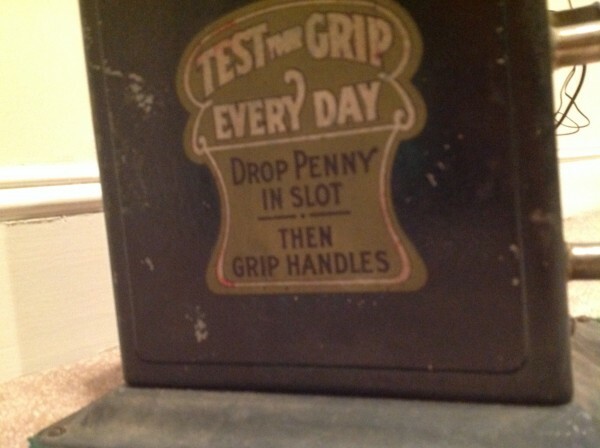 Drop coin, squeeze handles to record strength. 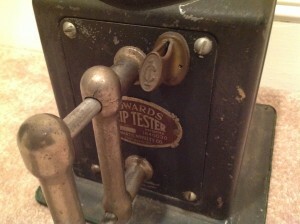 Nice patina and label. No key. Not sure if the back door is original but nice otherwise……………….